Born and raised in Winnipeg, Manitoba, Canada, Jay fell in love with the African drum in his 20’s and went on to graduate from the University of Ghana with a Diploma in African Music in 1998. Captivated by all things Ghana (including his beautiful Ghanaian wife! 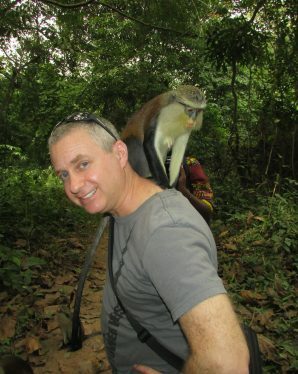 ), Jay co-founded African Skies Tours in 2010 and has been leading small group tours to that country ever since. At home in Winnipeg, Jay runs a drumming school, operates the Drum Cafe, and works as an accompanist with the Royal Winnipeg Ballet School. 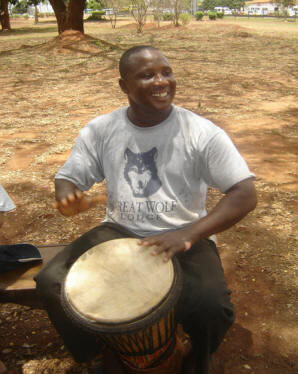 Christopher is currently the master drummer with the Ghana Dance Ensemble, the national dance company of Ghana. Christopher began performing in Ghana in 1985. In 2001 he was appointed the chief master drummer with the Ghana Dance Ensemble and this has given him opportunities to perform for numerous visitors to Ghana including Royalty and various heads of state. Christopher has a thorough knowledge of Ghanaian culture and has traveled extensively throughout the country. He looks forward to welcoming visitors to Ghana and making them feel at home.